The County can but does not appear to be willing to insert the needed protections where they have jurisdiction, on what is not preempted by State and Federal authority, into the ordinance. WATER– While water quality issues are being addressed in the Science Citizens Working group ordinance; it only pertains to specific districts within the ordinance itself. BRINE/BRACKISH WATER– The County has not commented regarding the use of and its impacts Brackish/Brine would have on the shallower drinking water aquifers when a breach occurs. The Shoemaker Report of 2008-2013 of the Deep Water Brine wells was submitted in the oil and gas public comments two months ago. This report shows brine well impacts on the Rio Grande and the shallower wells, especially the drinking water wells in Rio Rancho, according to the OSE authorization letter. This entity has mineral rights to frack and drill. What are the County’s fiscal interests in those mineral rights? The County, agreed to a settlement agreement 12-30-2010, it will receive 4,000 acre-feet a year (AFY) to sell industrial water; What is the potential interest? This is not including the costs of road creation, repair, and maintenance, which was to be provided by the developers. Why has the County not processed any of the Pilot Project fiscal information and agreement through the County Clerk’s office or Treasures office? Why was the property taxes in Rio West assessed they way it was? These are one of many of the items that the County has not disclosed, but the County is moving forward without addressing them. 1.) The IMH Financial Corp Partnership will not have to polish the brackish/brine water to sell industrial water as “raw brine” for fracking and drilling once a pump is installed. a.) This brackish brine water could be sold to fracking operators for the 40,000 mineral leased parcels on public lands being approved by federal authorities, as well as, for other community uses that have not been defined. The County complicit in the impacting of the private, public, trust and tribal lands onslaught of health safety and environmental degradation, not only the private lands under its jurisdiction. Is the County aware of this? 2.) The County could hold IMH to the intent of project by setting a standard of polished effluent for water sold. a.) MOU between the State and EPA regarding recycling and green-washed use of fresh, produced and Brackish/brine finite waters of New Mexico does not address quantity or quality issues and what a breach of and or blow would cause to groundwater in the area. OSE and NMED have a limited jurisdiction but the intent of the project lies within the Rio West Master Plan and County ordinance jurisdiction. Our suggestion is that the Commission demand that their Planning and Zoning Department follow the intent of the approval of the Master Plan for desalination, not sell raw brine and that any changes of the product produced would need to be approved by the county commission regarding the desalination project. According to the environmental justice advocate, Richard Moore, “We believe that every New Mexican regardless of race, ethnicity, or class has a right to be properly informed and engaged in the decisions regarding our land, our communities, and the future development from economic development to community development. The struggle for land rights continues,” for Native American, traditional Hispanic and low -income communities. Districting also is seen as a segregation issue being played out within the Sandoval County ordinance. This is not only troubling; it is an indication of systemic bias within the county government. It would not be hard to lodge a federal complaint to address a decades-old system of discrimination where more affluent communities are protected and low-income minority communities are left out of the process and how local government and developers make decisions for them. Sandoval County is already under a corrective action order on Native American voting rights violations. The County has a track record of discrimination. Any Federal and State funding may be jeopardized and the County would be held responsible for implementing an ordinance of this nature, according to the ordinance drafts being presented for discussion and final approval. We are proposing a collaborative community development structure. Public Participation and Notification Meanwhile, the County is not allowing public comment, in a public hearing, prior to the final approval of the ordinance. Past actions by the Sandoval County Planning and Zoning on the Sandridge Application when the county accepted online public comments, that were put into an unscannable pdf. Several commissioners said they never read or considered those comments submitted online because of the sheer volume of email against the fracking attempt in the ABQ basin. The County has opened public comment online but this holds many questions as to citizens’ comments being a legitimate record on the issue. According to complaints to the Commission, there are complaints that are missing that were submitted. The Commission by not allowing Public Comments prior to a final approval of the ordinance disenfranchises community participation, with their actions that will permanently impact the lives of residents, and further disallows members of the public the opportunity for redress of a taking in district court, appears to be a violation of due process and civil rights. CHEMICALS– many chemicals are used in fracking; some known, some not – most are toxic or can be radioactive at low levels. Radium found naturally in lower rock levels would be contained in rocks, even if brought to the surface. However, Radium turns in a radioactive gas called Radon, and that will be dispersed into the air. The Brine water will also contribute to a larger waste stream within the County that is radioactive agents of uranium and full of lead, arsenic and other heavy metals and minerals and VOCs. This is another waste stream additional to the fracking operations that will impact the region. The County has letters of interest from Lhoist who has indicated that they would like to make gypsum board from the “lime” sludge waste from the desalination process—This waste stream is dangerous and needs more oversight. The County should take seriously the tests, survey results, and statements by Tri-Chapter leaders regarding the health and safety impacts experienced by many residents who live on trust lands and private lands. We have not seen any public statement on what the County intends to consider regarding the Tri-Chapter complaint despite the occasional visit to Chapter meetings. The County attempts have indicated the County’s intentions only. There has not been a reciprocal collaboration, which should be a collaborative and mediated process. BASELINE TESTING is needed prior to application approvals. The County should start this now. SEISMIC ACTIVITY– Has not been sufficiently considered in the ABQ Middle Rio Grande Basin Rio Puerco and Watershed not in the Lower Colorado Watershed and San Juan Basin where there are several known fault lines near our water sources and in the geological formation of the Rio Grande Rift. Injection wells are often used to dispose of wastewater and these are known to cause seismic activity. There is also increasing evidence in Texas and Oklahoma that fracking is associated with significantly more earthquakes. A couple of the Ph.D. UNM Seismologists would be willing to come present but those efforts have been stopped by the Sandoval Commission and planning department during 2017 -2018. The NM Tech supplement report did not adequately address this issue. AIR QUALITY AND CLIMATE CHANGE– Flaring is a common practice used in fracking in which huge amounts of hydrocarbons are released directly into the atmosphere. A 3- 12 miles radius near flaring pits has been identified as dangerous to human and animal health. In 2014, scientists working on a NASA study discovered a 2,500-square-mile cloud of methane hovering over the Four Corners region. The County seems to dismiss this as being of unknown origin, although recent studies clearly indicate that oil and gas development is the largest source of emissions contributing to this massive methane “hotspot”. Environmental health studies have found impacts of respiratory illnesses up to 10 miles from fracking wells, according to the peer-reviewed studies by Physicians for Social Responsibility previously submitted to the County). The County has not drawn up a Climate Change Ordinance to address climate emissions for this industry and other environmental and public health and safety issues, as we face an onslaught of fracking and drilling in the region. The County appears to be ignoring many things in its rush to push a fictitious deadline to pass an inadequate ordinance. SOIL RESOURCES– in this high desert climate, the soil can be fragile. Our concerns for the soil in light of heavy traffic from big rigs used in fracking; the traffic and erosion caused by roads and construction of drilling pads; toxic chemical spills and the hauling of water have caused in other counties in the nations that have similar populations to Rio Rancho and Sandoval County Urban, Semi-Urban and Rural Roads. Local County and City jurisdictions may spend up to $40 million a year. (See attached the Cost of Fracking Study) The EPA and State authorities state that in some areas soils are fragile, but this is of “minor concern due to the remoteness of parcels”. In other words, out-of-sight is out-of-mind, if they can’t see it, it doesn’t matter. Surely, this is not the message the Commission wants to be sending. Wastewater pits, with indeterminate lining, are another means of disposing of fracking’s toxic sludge. There are open pits used in fracking, and there are new toxic evaporation ponds in the Rio Puerco waiting for a discharge permit from NMED, which should be out soon for public comment. 1.) What are the provisions to keep birds and animals from drinking, or landing in, the open pit storage water in the ordinance? 2.) What is the ordinance insertion that gives assurance that each parcel application has been inspected for threatened and Endangered Species? DARK SKY–NOISE. The County has not inserted from the hours of previous comments given in the previous ordinance in 2017, the protection of the night sky and protection from noise in rural settings. The current suggestion from PZ Director is his opinion rather from scientific data. Therefore not allowing the correct insertion in the ordinance is a taking of property values of its citizens. 2.) When Pueblo leaders told the Commission that Nov. 1st was not possible a date for their attendance and further impute because of their ceremonial obligations, the Commission ignored this request and schedule a meeting on November 1stdespite their requests. 3.) These inactions are an embarrassment to County residents because they have ignored conversations, emails, and comments and are moving forward with a bad ordinance. Our suggestion is to enter into a formal tribal consultation and collaboration with tribal nations. Mediation on collaboration is needed because the County has shown its inability to address the process adequately and should take up the offer of Regis Pecos at the 10-18-18 meeting. 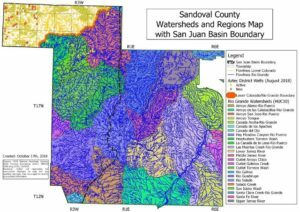 LOW SOCIOECONOMIC POTENTIAL FROM OIL AND GAS– The County Commission assumption if there is a “No Action Alternative” (no lease option) in the environs of impacted watersheds within the county. IN OTHER WORDS, IF THERE IS NOT ENOUGH OIL AND GAS TO BE OF ANY REAL COMMERCIAL VALUE, then why move forward without a socio-economic cost-benefit analysis. The NM Tech Supplement did not provide a sufficient analysis. Yet the County is barreling towards oil and gas exploration at grave risks of chemical and mechanical pollution without public comments, will be rubber stamping oil and gas production by the Planning and Zoning Director through permissive use, seriously exposing the County to legal actions. The INFRASTRUCTURE required for oil and gas production has not been addressed nor has its impacts on the environment including pipelines, compressor stations and gathering lines. Ordinance language from local communities who also face preemption was submitted to Commissioner Heil during the process and was ignored. The Paseo Del Vulcan (ABQ by-pass) now becomes heavy industrial roadway being paid for by the taxpayers, instead of the heavy industry being slated and seated in the regional area. The County is paving the way for crony developers to buy up frontage road along the route. This includes past action of the City of Rio Rancho annexing ranches in the area to bring the by-pass into the middle of the City. This appears to be agreements made with developers, ranchers and oil and gas industry in backroom deals, putting more tax burdens on property owners. There have been transparency violations filed on how the bonds were approved without proper public notification. Many existing roads in Rio Rancho and the County have been ignored for many years when the bond was pulled putting Rio Rancho and the County 10-20 years behind on maintenance, repair, and replacement. Property owners now see a major highway proposed while many existing roads lay in disrepair. This will get worse if fracking operations are allowed access without substantial impact fees. The County does not have a cost-benefit, or fiscal impact analysis to take into account the taxpayers’ cost of environmental cleanup, roads, etc. as described in this document. No emergency response plan — We were trying to work with the County Commissioners Holden Rhodes, Heil and Eichwald back in January to form a LERC to write a plan, but the commissioners buried our request. Relying on Industry to implement and enforce it has shown not to work. HEALTH CONCERNS–For the record several physicians that wished to give testimony have been stopped by the County Commission and the Planning Department. Physicians for Social Responsibility and other health professionals have not had the opportunity to testify under oath to the Commission and enter into the record the statistics of respiratory illnesses that occur in communities with populations similar to Rio Rancho. According to peer-reviewed studies, (already submitted previously to the County), respiratory illnesses from fracking operations healthcare costs would soar upwards to $275,000 a day. Can the County afford these types of expenses considering the health programs they already fund? OPEN MEETING ACT (OMA) VIOLATIONS– We have filed an OMA complaint on every meeting the County has held on the oil and gas ordinance and the bonds issues that included the road issues in the past 2-3 months. The OMA violations occurred because of insufficient listings of agendas bond items, rolling quorum, lack of attachments and meetings minutes, notification of time, place and date, the disenfranchising of the public comments in the process by continually holding a hearing where people are not allowed access or to comment because they are holding the hearing in chambers too small to contain the interested public. The County’s reliance on overflow seating is a problem in the atrium is poor sound quality and it doesn’t allow for public comment on any other agenda item or on the particular agenda item being heard. They do this on a continual basis despite offers by the Bernalillo mayor to facilitate crowds in a larger forum so those interested in speaking and attending the meeting in person can show their interest on an issue. It is unfair to the citizens of the County, does not allow them to redress, it chills public participation, creates apathy and disdain for the government on the issues that impact their lives and violates due process. Much has been corrected because of our filing of the OMA Complaints but despite the County efforts that we still have problems. Currently, there are several complaints in front of the OAG for determination. Our suggestion would be to discuss this ordinance with the firm that wrote the Santa Fe and Mora County ordnances’, discuss passing a moratorium, request a moratorium to continue safely to develop this ordinance with both citizens working groups. Set up a reporting and development during the moratorium period, which allows the final product to be vetted. This would not be starting over, it would be taking the ordinance we have and delineating the issues with them and vetting what is legal ending with a quality protective ordinance. Right now the commission needs to engage in Tribal Consultation and Collaboration and allow the process to be done correctly. The Sandoval tribes, in the APCG and Tri-chapter area, have supported moratoriums while is the ordinance process. This ordinance is for the protection of the people and property in Sandoval County. The Commission has not allowed public comment in a public hearing, to air this proposal to them as a possible solution to the challenges in front of them. We are in this together but that is not what the County’s message has been to those in or not in the CWG. Instead, we are watching another train wreck. There is a full onslaught of over 40,000 parcels on public lands in the Rio Chama, Rio Grande, Chaco Canyon, and the Greater Chaco areas up for public mineral leases. 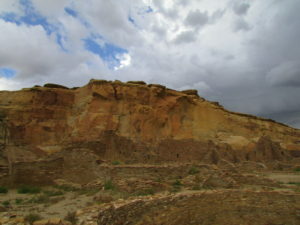 It is in the Greater Chaco area where health impacts are being experienced. People there have grave safety concerns that need to be addressed. The county ordinance would help adjacent private landowners fend off environmental impacts being ignored by federal and state regulatory agencies. The County is not in a position to rely on staff that has no previous experience with writing and implementing the oil and gas ordinance, to the extent of the issues presented in Sandoval County, including tribal consultation. Our suggestion is to contact, Kate Ferlic, Law Firm ( California Planning Firm) and pay professional legal planners fees to bring forward an ordinance similar to the Mora and Santa Fe ordinance to save taxpayers the cost of legal actions that are sure to follow if the county continues with its current process.